The enterprise spirits of Haomei Industrial Co., Ltd. is people-oriented, honest and trustworthy, service oriented. We will try our best to cooperate "win-win" concept, with high quality products and the best service to provide customers and consumers. 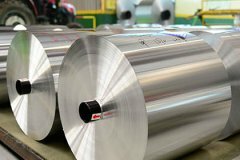 Take a lead role in China's aluminum processing industry.